Everyday I get asked hundreds of questions – whether from clients at Vigor Ground, podcast listeners or the gym owners I coach/mentor. Today I thought I’d open up the floor as a sort of Q & A to share some of these questions and the experiences that have inspired my answers to them. I start the episode with what I believe is the secret to success—and a foundation for achieving any big goal in your life. Topics cover insights on whether you should make the move of being a gym owner, how to supercharge your coaching, exposure to events, to getting answers about your next step. I also go over some financial resources. 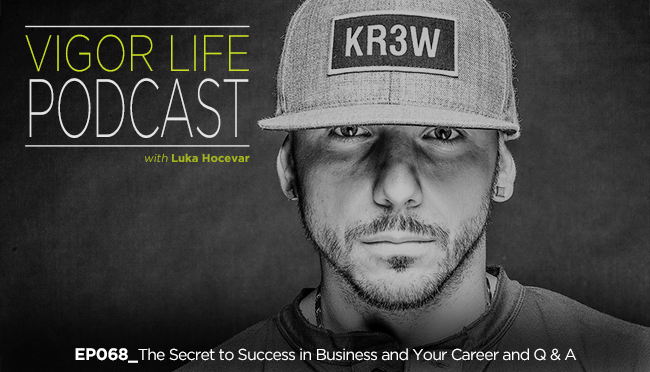 If you’re a coach or gym owner this episode is a must listen. This entry was posted in Podcasts and tagged Business, Coaching, Entrepreneurship, Fitness. Bookmark the permalink.